DID YOU KNOW that you have enrollments, degrees conferred, fall-to-fall retention, retention and graduation rates, and credit hour production, faculty and staff data, report cards, and student satisfaction surveys at your finger tip? Please click on any of the links to explore! PLEASE ALLOW A MINIMUM OF 3 BUSINESS DAYS FOR COMPLETION! If you answered yes to previous question, have you received approval from the University IRB? Is this report to be shared with others? If you answered yes to previous question, with whom? NOTICE: The information contained in this report of student information may contain personally identifiable information that is legally protected by the Family Educational Rights and Privacy Act of 1974 (FERPA). All University employees who access this information must make every effort to store student data in secure and confidential environment. 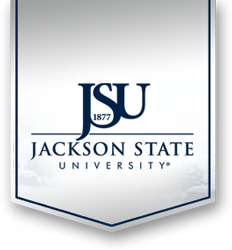 Only administrators, faculty and staff employed by Jackson State University who demonstrate a genuine need to know based on a legitimate educational interest may have access to a student’s record. A legitimate educational interest will be limited to an interest arising from the faculty/staff member’s fulfillment of his/her assigned responsibilities, and disclosure will be limited to such information is necessary to fulfill those responsibilities. The contents of this report should not be shared with anyone who does not have a legitimate, demonstrated need to know the information contained herein. Official student, program, college, department, faculty, and staff statistics should only be obtained and released with guidance from the Department of Institutional Research, Planning, and Assessment. Once you have completed use of this information for the purpose described above, it should be destroyed.